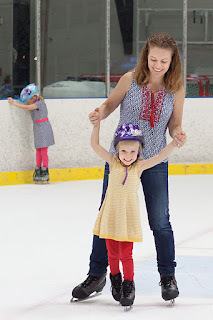 Last week, the kids and I had a first: ice skating! Not much of that happens in the South, but we thought we'd give it a try. We made plans to meet up with Linda and her kids at a local rink. MJ thought I was crazy. Take three little kids, who've never skated, ice skating by myself? Turns out, he was pretty much right. Everyone was very excited about it, happily donned long pants, and brought their jackets (all of which I had to get out of storage). But as soon as we strapped the skates on, Little Man threw a fit. They were too tight, they were too loose, they didn't feel good. He wanted me to carry him (on the ice? No way!). I was trying to reason with him as Sweet Pea and CC tottered/slid/skidded onto the ice, and started screaming for help. For ten minutes there was chaos, children yelling and clinging to me and falling all over the place. Thank goodness for Linda. 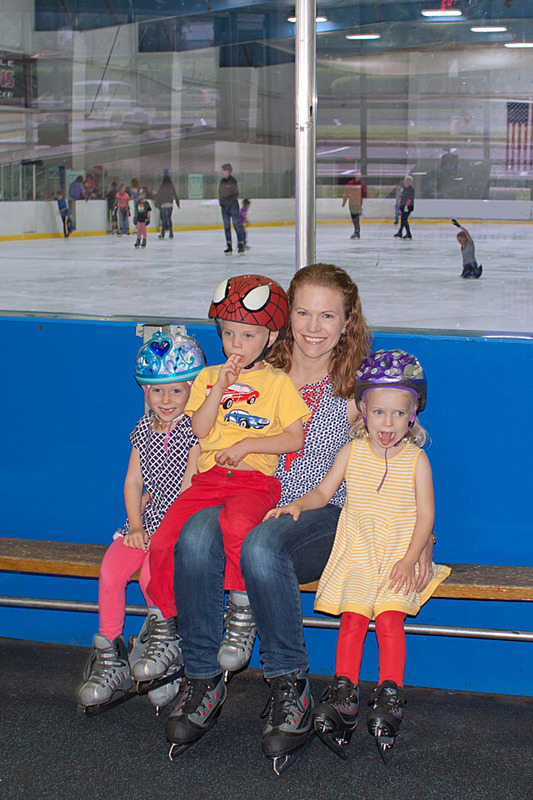 Her two boys already know how to skate, so with only Mia to worry about, she had an extra hand to help with my kids. Ultimately Little Man stayed on a bench and watched us, randomly bellowing for me, his voice booming around the rink for all the skaters to enjoy. 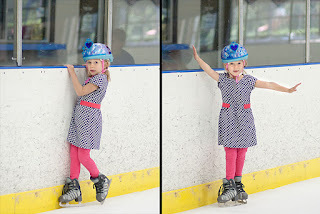 The girls and I skated for about an hour and a half, and I use that term very loosely. I swear it's as if they had no bones in their legs! Kristi Yamaguchi they are not. We headed home, where CC threw up and started a whole new adventure. 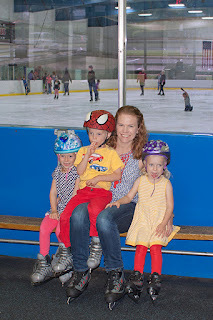 Prior to ice skating that day, we'd met friends at a pool to go swimming (I know -- swimming and ice skating on the same day!). CC slipped on her way down the kiddie water slide and banged her head on the edge. She cried for a while, but I didn't think too much of it. After the pool, we met Linda for lunch, and CC didn't eat anything, complaining of a headache. I was a little more concerned at that point, but CC insisted she was well enough to ice skate. 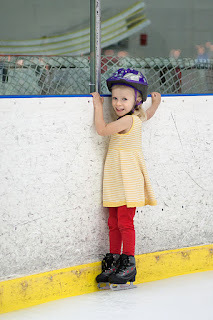 And sure enough, while we skated, she seemed normal. But after she threw up at home later, I called the pediatrician and they said it was one too many red flags. 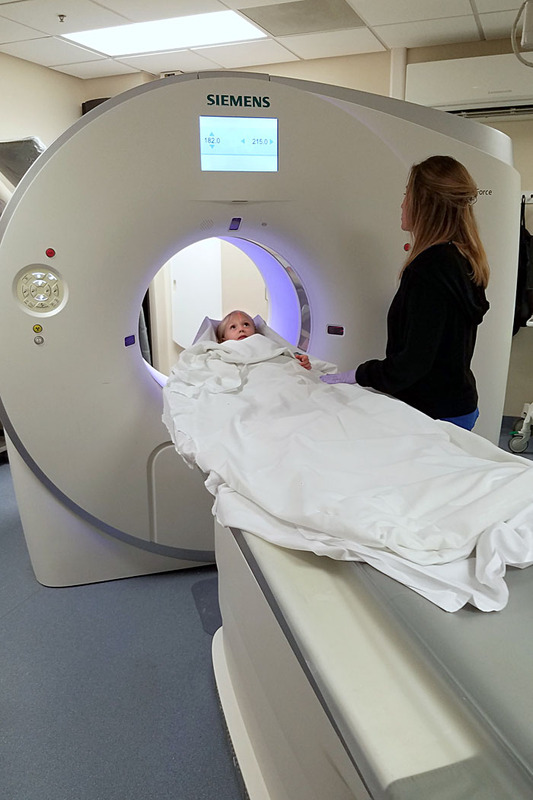 Off we went to the ER for a concussion evaluation. Thank goodness for Alice, who came over to watch the twins until MJ could get home. After a neuro exam and a CT scan, CC was deemed fine and released to go home. What a relief! And a little more excitement than I'd planned for.